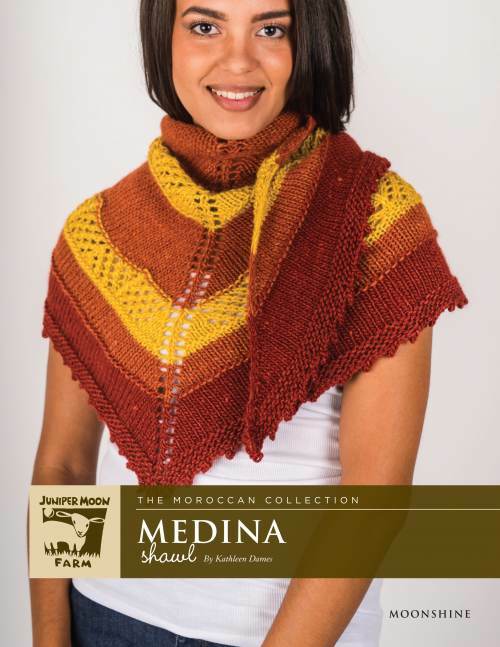 Check out some of the garments & designs found in Moonshine - Medina Shawl. Knit top down from a garter tab start. Lace has text and charts. FINISHED MEASUREMENTS Wingspan: 60”/152.5cm. Center spine: 28”/71cm.